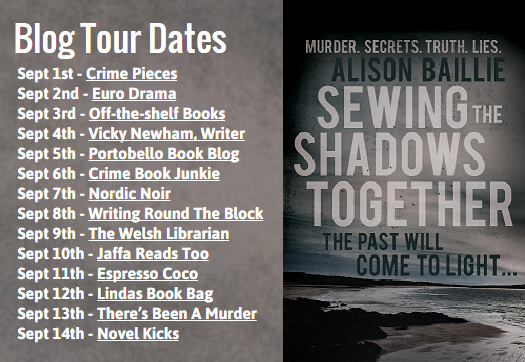 I was looking forward to reading Alison Baillie’s debut novel Sewing the Shadows Together. She and I attended an Arvon course together at the end of 2012. She was working on an early draft of this book and I was finishing In Bitter Chill. We were early readers of each others novels and I was delighted to read the published version. 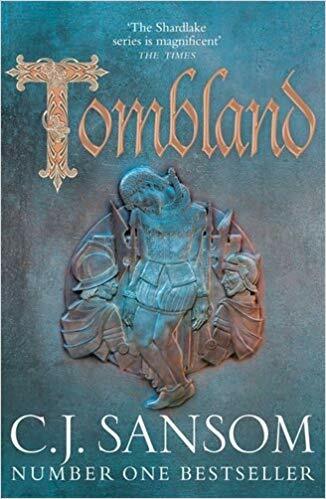 I always felt the book was an excellent mystery with a strong sense of place and it’s great that other readers now have the chance to enjoy the story. Thirty years earlier 13-year-old Shona McIver was raped and murdered. A man went to prison for her killing but recent DNA evidence has now shown he was innocent. Sarah was a childhood friend of Shona and becomes convinced that the killer comes from a close circle of family and friends. As she battles demons within her own family the secrets of the past begin to unravel. The mark of a good book for me is a writer’s ability to draw you completely into their world. Sewing the Shadows Together so successfully does this that I didn’t want to put the book down. There’s a strong family element to the narrative and relationships are satisfyingly dysfunctional. Baillie is excellent at showing how old hurts and unspoken suspicions can devastate a family. I hope readers of Crimepieces enjoy the novel as much as did. I don’t normally interview authors on my blog but wanted to dig deeper into the book so I got Alison to answer some questions for me. This is your debut novel. What were your motivations for writing crime fiction and how long did the book take to write? I’ve always enjoyed reading crime fiction and I’ve always dreamt of writing a novel – I wasn’t sure if I could, but there was never any doubt that, if I did, it would be a crime novel! I’ve had the plot of Sewing the Shadows Together fermenting in the back of my mind for many years, but it was only when I stopped teaching full-time that I was able to actually write it down. When I began writing the plot felt quite well-developed, after all these years lingering in my subconscious, so the book took me about eighteen months to write, which was less than I had anticipate. I was very much helped by two Arvon courses and the people I met there! Your book has a strong sense of place. How much of the book uses real life locations and how much is fictional? The main locations, Portobello and Edinburgh, the Outer Hebrides and Plettenberg Bay in South Africa are all places I know well. I tried to capture the atmosphere of the places, but not every detail is completely accurate. This is deliberate – I didn’t want people to make assumptions that some incidents and characters are based on real ones and I also made some changes to fit in with elements of the plot. ‘Sewing the Shadows Together’ is an unusual title. How did it come into being? It’s a quotation from DH Lawrence’s poem ‘Bat’. I remember reading this poem with an inspirational English teacher when I was about thirteen – an incident I have used in the book (but my wonderful teacher is very different from HJ Kidd, my fictional teacher). I chose the title for several reasons: firstly, the poem is about discovering the difference between appearance and reality, an important theme in the book; secondly, the phrase could apply to making sense of the traumas of the past and, finally, I just love the sound of the words. The book’s focus is very much the past. Why do you think we’re fascinated by unsolved cases? We all want to solve a puzzle and the longer it has remained unsolved, the more interesting it becomes – it has a greater effect on people’s lives and the ripples extend further. Readers are also fascinated because uncovering secrets in the past is always intriguing and you can scratch the surface of any seemingly perfect life or relationship and discover the cracks beneath. There’s also a strong emphasis in the book on marriage and the constraints of family. How conscious were you of trying to balance a crime story with focusing on human relationships? The crime stories I enjoy usually have a strong emphasis on character, motivation and relationships. In this novel I wanted to focus on ordinary people caught up in an extraordinary situation, and how a tragedy in the past affects every aspect of their life, their relationships, their confidence and their self-esteem. What’s next? What are you planning to write and will it be set in the same location? I have an idea gestating at the moment and I think it’s just on the point of birth. It is set in Scotland, Yorkshire and Switzerland and involves completely different characters, but once again features ordinary people caught up in a tragic situation and focuses on hidden secrets and relationships. Thanks to Alison for taking time to answer my questions. Although a difficult subject there seems a lot to ‘like’ and potentially admire with this one; a strong sense of place, a dysfunctional family & an unsolved case sounds like a well balanced and satisfying read. It’s a good book, Poppy. I enjoyed reading it even as an early draft. It does sound compelling, even if about a difficult topic. Fascinating interview, too. Thanks, both! This sounds mouthwatering! Many thanks for the headsup. Sounds like an interesting book. I will seek it out when it makes its way to North America! Fingers crossed it appears over there. I think it’s available as an e-book now. This sounds good. If it’s at all like In Bitter Chill, then we’re in for a treat. I put it in my Amazon cart, but have several tasks to finish before I open another book! Thanks for bringing this one to our attention, Sarah, sounds good.